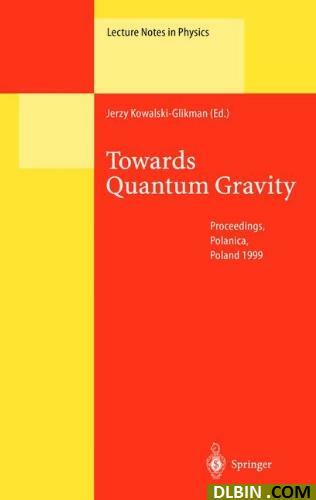 The aim of this book is to give graduate students an overview of quantum gravity but it also covers related topics from astrophysics. Some well-written contributions can serve as an introduction into basic conceptual concepts like time in quantum gravity or the emergence of a classical world from quantum cosmology. This makes the volume attractive to philosophers of science, too. Other topics are black holes, gravitational waves and non-commutative extensions of physical theories.